Having worked in China’s judicial system as a judge and later in the automobile industry, Chen Lizhong’s foray into wine was quite a career change. 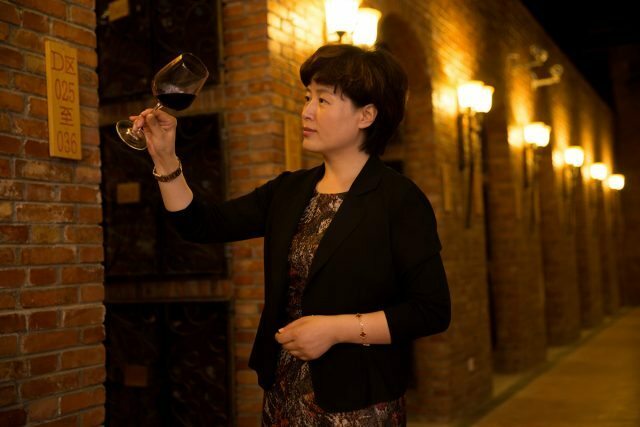 Her winery, Tiansai Vineyards, is considered as a market leader in China and is located over 1,100 metres above sea level in Yanqi of China’s northwestern Xinjiang. Producing wines mainly from Bordeaux grapes such as Cabernet Sauvignon, Cabernet Franc and Merlot, the winery was one of the first wineries in the region to be certified organic by Chinese authorities and has two seasoned winemakers consulting on its team, including China’s foremost wine expert Li Demei and Lilian Carter, former winemaker for Pernod Ricard’s Helan Moutain Wines in Ningxia province. Chen Lizhong talks to dbHK about the best advice she ever received, her wine bucket list and a fantastic bottle of 1998 Château Haut-Brion. 1968. For the Old World it’s not a good vintage. The wine that left the deepest impression on me is a 1998 Château Haut-Brion. There are also some wines from Burgundy. What really spoke to me was how these winemakers’ love and devotion for wine is really translated into the wines we drink. In the past, I would think of myself as a Burgundian wine, low-key and subtle. Now I feel I am more of a Tiansai wine. Every day, there’s improvement in the wine, and there are always surprises. Wining and dining with friends, and talking about life. There’s no short cut to success. For every little thing, if you do it well, then it’s already quite amazing. I will try everything in my power to save every bottle. The best part is that everyone is very optimistic, active and open-minded. The worst part is the constant drinking. On my bucket list, there are not always perfect, highly rated grand cru wines. All the wines have to be unique, and have a different style that will really impress me. My idol, Robert Mondavi. He was good at making wines and also brought local wine industry to a whole new different level. 95-98. 100 is more of a personal preference, while for me 95 is already perfect. The last wine I made on earth.